Finding, running, and maintaining the right dairy farm can reap rewards that are far-reaching and wide-ranging. A dairy farm is more than just a challenging, yet oftentimes successful business for the owner—though there is that aspect of the job to consider. But more than that, dairy farms are also practical operations and crucial to the health of the economy, our diets, and a whole lot more. 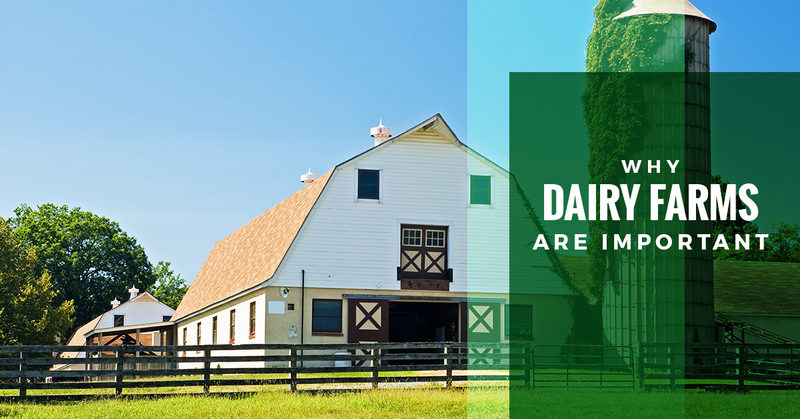 Whether you’re well seasoned in the industry, you’re new and are looking at dairy farms for sale, or you simply drove by one such place and want to know what it’s all about, you may find yourself wondering why dairy farming actually matters. In this blog, we’ll be covering a few of the reasons why dairy farms are so important. At AGPROfessionals in Greeley, we aim to help farmers, developers, and more with trusted agricultural development and consulting services galore. From agriculture real estate to consulting services, our industry experts can help set you and your farm up for success. Contact us and keep reading to learn more about the importance of dairy farms. Dairy products are just about everywhere you turn. From your morning cereal, to your afternoon coffee, to the ice cream you have for dessert, there is no understating the importance and demand for dairy products. When it comes to the U.S. economy, dairy is one of our country’s finest commodities. In fact, according to the USDA’s Economic Research Service, dairy product exports more than quadrupled between 2004 and 2014, helping the U.S. to become the third-largest dairy product exporter in the world. That’s not even considering the impact that dairy farms have on local and state economies. For example, dairy farming is known as one of the top agricultural businesses in the state of California, accounting for more than $31 billion and employing more than 400,000 people. Another reason why dairy farms are so important is because dairy products aren’t going away anytime soon. Dairy, including milk, cheese, and more, is a vital part of a balanced diet. Therefore, the need for dairy is always there, which means dairy farms provide a vital necessity to the people both rural and across the country. In fact, the argument could be made that the demand for dairy products is actually on the rise. The USDA Livestock, Dairy, and Poultry Outlook from Dec. 2017 indicated that more than 174.6 billion pounds of milk/dairy products were consumed from Jan. 2017 to Oct. 2017—up 1.1 billion from that same period in 2016. Dairy farms also create jobs and livelihoods for hundreds of thousands of people across the country. These are local farmers, neighbors, and community supporters who not only bring revenue to the local economy, but also spend their money within these communities. Dairy farms are an integral part of America’s rural community, which is the backbone of the U.S. and provides necessary goods to our people. It’s easy to see why dairy farms are so important; if you’re looking at dairy farms for sale in Colorado or the surrounding region, contact AGPROfessionals. We can help get you started on the right foot.